Posted September 19th, 2015 by Rhys & filed under Blog Tech. One of the key things (for me, at least) to come out of today’s @Bloggiesta Twitter chat was the discussion about font sizes on your blog. A few years ago, it was fairly standard to have 12px sized font; that’s roughtly the size you’d have when you opened a Word document. 12pxs is quite small, but it’s still readable. 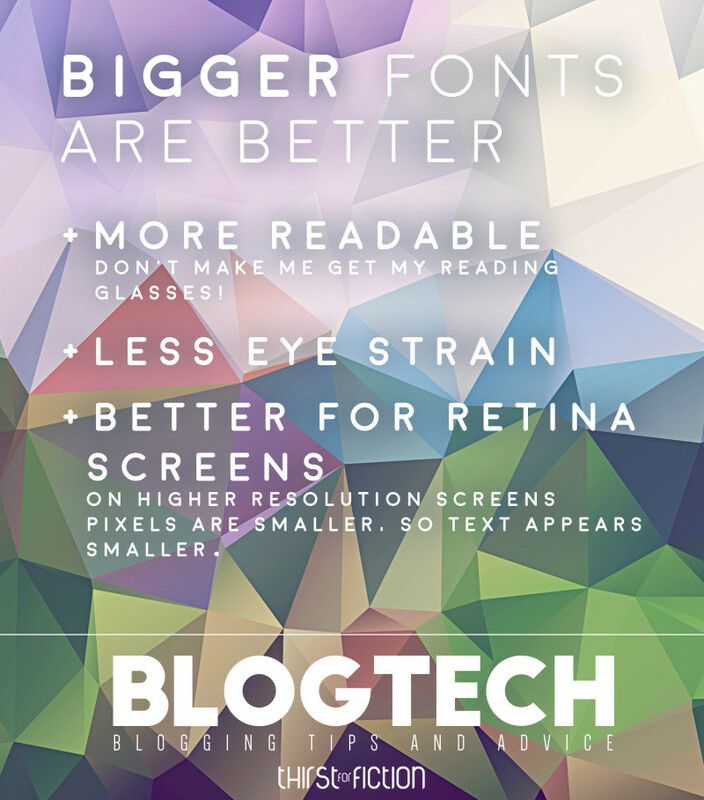 In the years since, though, there’s been a resurgence for larger text sizes. Why? Because of high-resolution (or retina) screens, but also because it’s easier to read. It’s part of a larger overall movement in webdesign towards more padding between elements and larger elements. It’s time most of us followed suit! I swapped over my minuscule text for 18px font sizes a year ago. Right now, all my posts are in 18px, with my post metadata (post date, post author etc) in a smaller size. That way, I keep the important stuff prominent. If you’re scheduling a new blog design or blog overhaul, now’s the perfect time to do it. If not, it’s something to consider for when you do! 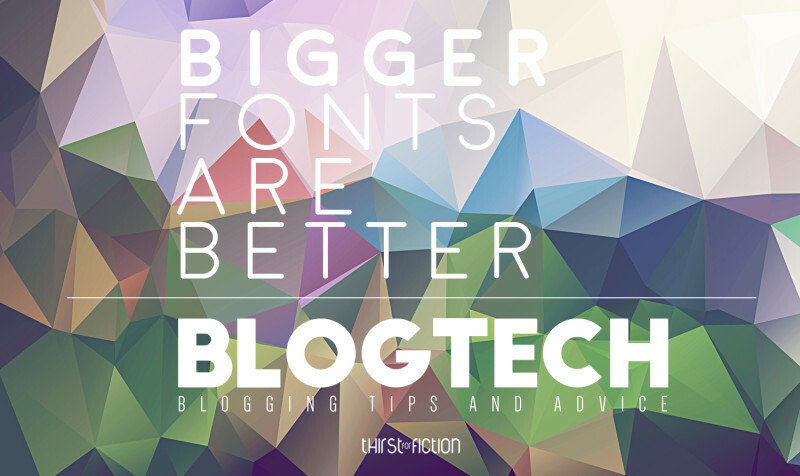 Will you be upping your font size any time soon?